HP has a new smartwatch in its portfolio; and this one is aimed only at women. 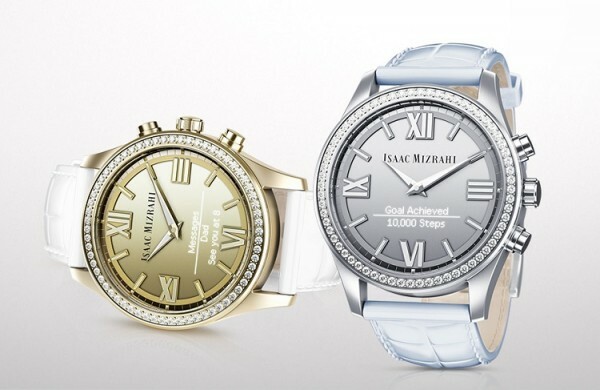 Designed in collaboration with Isaac Mizrahi, the.. urm.. “Isaac Mirazhi smartwatch” features basic smartphone notifications, activity tracking, and swarovski crystals. 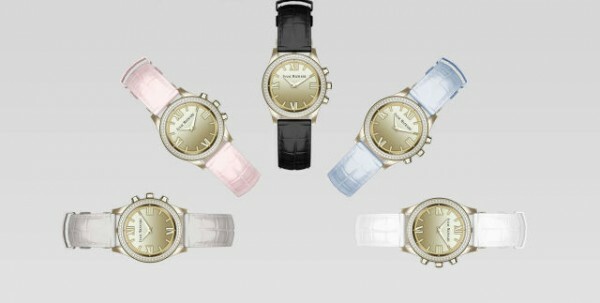 As far as smartwatches go, the Isaac Mizrahi smartwatch is about as basic at they get. Time is kept through a traditional looking analog display, while notifications are shown on a discreet OLED screen set on the lower half of the watch face. There doesn’t appear to be the plethora of smartwatch apps being bundled with this HP smartwatch. Instead, it is said to simply display things like incoming messages, caller information, and calendar alerts. Oh, and it has a direct feed to Isaac Mizrahi’s Twitter account so that the wearer is always kept up to date on the fashion designer. The body of the smartwatch is built from stainless steel, and is available in two colours: silver and gold. For some variety, the interchangeable leather bands come in five different colours. This isn’t the first smartwatch in the Engineered by HP line, although it is the first time that HP is targeting women with its wearables. The other two devices, the Movado Bold Motion and Titan Juxt, are rather large and take on a more tradtional male watch design. Like the other two, the Isaac Mizrahi smartwatch (which really needs a new name) is compatible with both Android and iOS, and connects via BlueTooth. It also charges through a custom charging cable, that happens to be powered by a microUSB cable. The Isaac Mizrahi smartwatch will retail for $249 (about RM 1000), although we’re not sure where it is being made available.